Please send us your preferred PlanetWin.it Username . PlanetWin365 Italia is the brand of Austrian company SKS365 which is active in several European countries, like Serbia, Montenegro, Belgium and Spain besides Austria and Italy. In Italy, besides the online services, they are also using a physical network of gambling agencies. They have more than 1 million registered users worldwide and they are offering sports betting, casino, live casino, virtual games and poker. The poker side of PlanetWin365.IT was launched in 2016 when they acquired a license for Italian market, which meant the splitting of PlanetWin365.com and a huge decrease in traffic for the latter. Thanks to RakeAdvisory, we offer Italian poker accounts for players worldwide. We provide access to Italian segregated market for International players. The monthly fees are affordable for all type of players, except those playing micro stakes. Playing at PlanetWin365.IT makes you eligible to receive the default player benefits that all Italian Poker players have. If you need our help, we can also provide technical assistance in configuring the VPN required to access the poker client. PlanetWin365.IT VIP system is made of 4 monthly and 2 annual levels, rewarding players with real money bonuses between €5 and €2500. As you climb up the VIP levels, you will have the opportunity to buy cheaper bonuses from the VIP shop. PlanetWin365 Italia bonuses can be taken anytime from the shop. In the table below you can find the VIP levels of PlanetWin365.IT VIP system, their requirements, the monthly prizes and their rakeback equivalence. Please be aware that real money bonuses which have not been redeemed during the month can’t be redeemed the following month. The bonuses redeemed in the VIP club must be played at least once in tournaments or at the cash tables. Players who do not earn any VPP / FPP points during a calendar month will be downgraded to a lower VIP level, until they get back to the first level, Recruit. Unused FPPs will be removed from players accounts after 90 days of inactivity, even though the player is active. PlanetWin365.IT is offering their customers a 100% up to €500 Initial Bonus, released in €5 installments, 25% rakeback equivalent, 60 days valid. Bonus is credited to player account in €5 tranches as soon as 40 special FPP are accumulated, but in order to convert this bonus to real money, the amount has to be played once. Special FPPs are awarded when playing real money games, both tournaments and cash, every €0.50 rake meaning 1 FPP. This means PlanetWin365.IT bonus is equivalent to 25% rakeback. Players have 2 months starting from the registration date, to release the entire bonus, time during which FPPs will not be credited. Progress status of the €500 PlanetWin365 Initial Bonus can be checked accessing the poker room website, in the Account / Bonus Status section. Please be aware that PlanetWin365 management reserves the right to deny, confiscate this promotions from all accounts which don’t comply to the room regulations or which try to abuse the bonus. The accounts involved in collusion or soft play will be locked. The bonus promotion might be suspended anytime, without any prior notification. PlanetWin365 Italia offers the following poker promotions, which are a source of excitement for recreational players and additional rakeback for grinders worldwide. PlanetWin365 Italia also introduced Spin & Win which are 3 handed Turbo SNGs with random prizes which could go up to 4000 times the initial buyin. PlanetWin365.IT is offering the possibility of qualifying through a freeroll that will guarantee access to €1 Spin & Win games. Winners of the freeroll will be automatically seated to Spin & Win tables. PlanetWin365.IT is offering a new series of €250.000 guaranteed prizes tournaments. The full schedule can be found on PlanetWin365 Italia website. PlanetWin365 Italia is offering a progressive Jackpot which is linked to two daily tournaments: Universo365 and Galassia365. The player who wins both tournaments in the same day will win 70% of the Jackpot while the 2nd and 3rd places will also get paid. Initial Jackpot is €1000 but it can increase exponentially in case there are no winners across several tournaments. During September and October, all players have the chance to win a share of the €5000 bonus offered by PlanetWin365 in Autumn Rankings promotion. In order to participate you need to accumulate points by playing Spin & Win, Sit & Go 6max and Sit & Go Heads Up during the specified timeframe. According to the buyin levels, there are 3 different rankings: Yellow (buy in from €1), Orange (buy in from €3) and Red (buy in from €10 and €20). Around Halloween, a magical and scary night in the same time, PlanetWin365 Italia is offering you Halloween Poker Festival, which brings €7000 in prizes. Qualifiers are available from just €0.10, please check PlanetWin365.IT website for the complete schedule. PlanetWin365 Italia charges between 2.5% and 5% rake, with caps between €1.5 and €5, depending on the games and stakes played. It is the standard rake structure that most Italian rooms have and a significant percentage from the amount charged go to Italian authorities, since Italy is a regulated market under AAMS. Rake is not charged in the hands which end before the Flop cards are dealt in Holdem, Omaha, 32 cards or before the 3rd card in Telesina. Only players who are dealt cards are subject to rake charges. PlanetWin365 Italia games currency is EUR. PlanetWin365.IT is offering cash games, tournaments, sit & gos and play money games. Spin & Win: turbo SNGs played between 3 players with random prizes which can reach up to 4000 times the buyin. Available for both Holdem and Omaha. PlanetWin365 Italia is offering direct cashier via the following methods: Skrill, Neteller, EcoPayz, Visa, MasterCard, CickAndBuy, uKash, PostePay, Bank Transfer. Ewallets deposits are instant and cashouts usually take 1-3 working days. 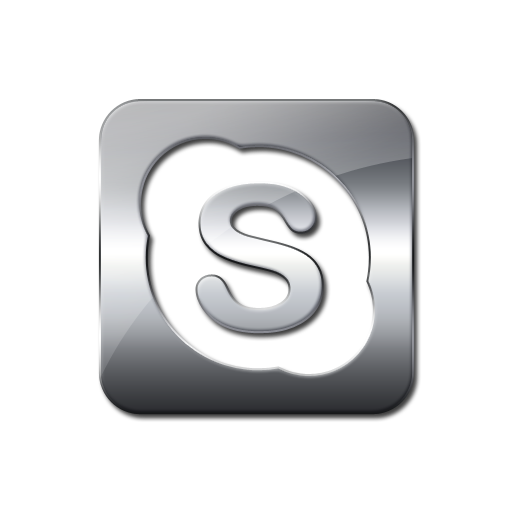 Non-Italian Poker Players are welcomed to contact us on skype: ID rakeadvisory to request an account at PlanetWin365.IT and to make deposits/withdrawals. Trackers (Holdem Manager and Poker Tracker) can be used with PW365.IT software with the help of a hand grabber. Please get in touch with us if you need such software. PlanetWin365 poker client, named Poker Pro, can be accessed from both Windows and MAC devices but also from smartphones and tablets with Android or iOS. Besides those, a web version is offered, so you can play without installing any client.